The same chemical that exploded in West, Texas, is used by coal companies to blow up mountains. People living near mountaintop mining have cancer rates of 14.4 percent compared to 9.4 percent for people elsewhere in Appalachia, studies by the West Virginia University, among others, show. “Birth defects are over twice as high than if the mother smokes during pregnancy,” says Vernon Haltom, who served in the US military as an explosives expert. But just like giant agribusiness, Big Coal would rather keep ammonium nitrate unregulated. Activists are hoping that the explosion in West and the homemade bomb blasts in Boston will turn up the heat on regulators. Mining companies aren’t the only ones who know ammonium nitrate’s blasting power. Readily available and easy to assemble, it’s what Timothy McVeigh used to blow up the Oklahoma City federal building and it’s what improvised explosive devises, or IEDs, are usually packed with. 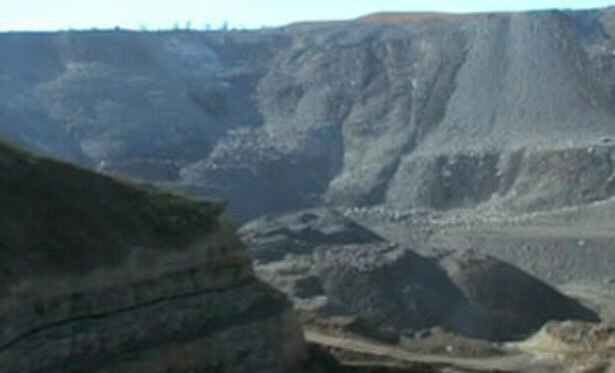 In 2011, Obama’s EPA vetoed the largest single mountaintop removal permit in West Virginia history, slowing production but issuing no binding regulations. Democrats have introduced an Appalachian Community Health Emergency Act (ACHE Act, H.R. 526) which would effectively impose a moratorium. The current week of Appalachia Rising action is calling for the EPA to step in. There’s no earthly reason why the agency isn’t charged with monitoring ammonium nitrate. Under the Clean Air Act, the agency is mandated to reduce the risk from explosive chemicals. Why isn’t ammonium nitrate already on the EPA’s list? That was one of Senator Barbara Boxer’s questions to the agency in the wake of the Texas fertilizer plant disaster. Informed fingers have pointed at lobbying by the Agricultural Retailers Association and the Fertilizer Institute but up to now, Big Coal has avoided tough questions. No industry uses more ammonium nitrate for underground and above-ground explosions. Texans and Appalachians don’t need another tragedy to know it’s long past time the “undue burden” on human life received priority. In West Virginia, GRITtv spoke with Vernon Haltom and Vernon “Hoot” Gibson, uncle of famed mountain defender Larry Gibson, whose family’s cabins sit on some of the last surviving peaks of the Kayford Mountain. Occupy the Pipeline activists are working to prevent a New York City fracking nightmare. Read Allison Kilkenny’s report.